Are they trying to give the impression that “islamophobia” is rampant, and that therefore they have to be patrolling around to protect innocent Muslims? That’s pure fantasy and victimhood propaganda. Although ISNA is one of the largest Muslim advocacy groups in the United States, the organization has a history of inviting “extremist” speakers to address its crowds. The Muslim Brotherhood’s Gamal Heshmat shared an anti-Israel video by Sarsour on his Facebook page last Friday. 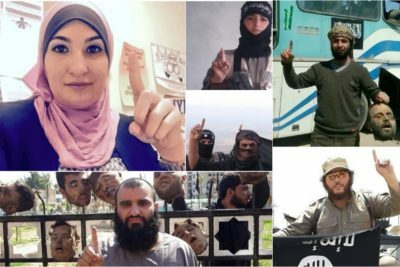 In it, Sarsour glosses over Hamas’ role coordinating the “Great March of Return” in May. The fItaly: Muslims Threaten to Stop Working After Closing of Their Mosque — A Tiny Example of a Big Problem in Europeuture belongs to those who leave survivors behind. And a destroyed culture can leave no survivors. Future terrorists are nesting in the Islamic incubator of Bosnia centered in Sarajevo for future use inside the EU. Beware: Boston seems to be the next breeding ground for radical Islamic teachings. Photos of a sign on the window at SmartStyle Family Hair Salon, 7555 Telegraph Road, asked for “no men please,” without further explanation. Two news items this week show us once again what the establishment media and almost all political authorities in the free world are determined to deny: jihad terrorism really is all about Islam. Finally, there is a German news organization that is unintimidated and unabashed about taking an unflinching look to report the truth about the situation inside Bosnia, a country founded through an old Clinton Administration pet project (in partnership with Saudi Arabia) involving a regional Islamic nation-building, still ongoing. The Temppeliaukio Church, a popular tourist attraction in the heart of the city built directly into a solid piece of stone, is less than a kilometer from the Finnish parliament and supposedly was a planned target for terrorists. 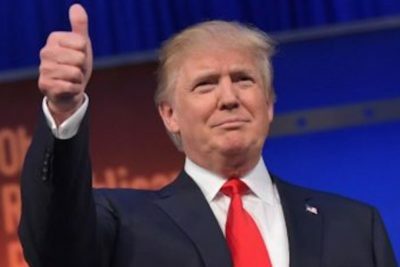 President Donald Trump’s legal team has asked the U.S. Supreme Court to allow the temporary travel ban on six terror hot spot nations to take effect. Muslim supremacists make no distinction between the pacifist Sweden and the more interventionist France, or between a Catholic priest in Normandy and an Israeli Jew in Jerusalem. They are at war against Judeo-Christian-Liberal West. Prime Minister Theresa May said police and MI5 know the identity of the London terrorist — but they’re not saying until “operational considerations” allow (whatever that means).